The action continues at Flushing Meadows as the Round of 16 commences at the US Open Tennis Championships. Both the men’s and women’s top seeds played at the tournament today, with Novak Djokovic besting competitor Roberto Bautista Agut. 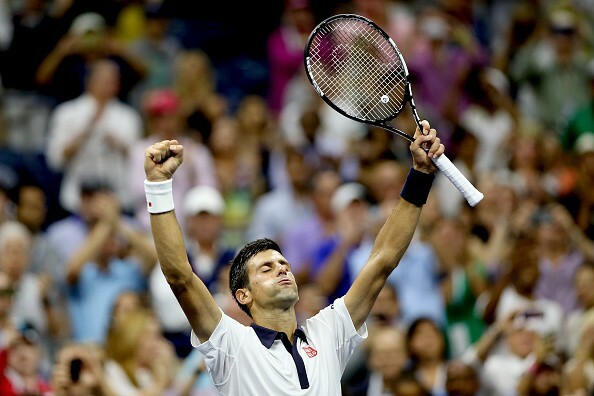 Although Djokovic’s previous victories have all come in straight sets, he lost a set at the Open for the first time today against his Spanish competitor. The match went in favour of the World No. 1, ending 6-3, 4-6, 6-4, 6-3. The Djoker started off the match smoothly, and led by a set and a break before Bautista Agut came back with a vengeance. The Spaniard, known for his strong forehand, pulled a scorcher in the second set. Two games down in the second set and trailing 4-2, the Spaniard won the next 4 games in a row to equalise at one set apiece. “He made me work for every point,” said Djokovic in a post-match conference. Djokovic will face another Spaniard in the next round – 18th seeded Feliciano Lopez, who beat Italian Fabio Fognini yesterday. Feliciano Lopez of Spain beat Italian dark horse Fabio Fognini 6-3, 7-6, 6-1. The hard-hitting Italian had looked strong coming into this match, having beaten 5th seed Rafael Nadal in a shock ouster. Fognini committed 40 unforced errors in the match, with Lopez reaching a Grand Slam quarter-final for the fourth time in his career. This is the first time, however, that this has occurred in a non-Wimbledon Slam. Reigning US Open champion Marin Cilic is also through to the quarter-finals at the Open following his victory over France’s Jeremy Chardy. 9th seeded Cilic has already faced and defeated all competitors who are higher-ranked than himself (4th seed Kei Nishikori and 7th seed David Ferrer), going in to play the 27th seed Chardy. Recovering from a rolled ankle, Cilic dropped a single set in the match, taking the win 6-3, 2-6, 7-6, 6-1. En route to his title defense, Cilic will next play another Frenchman – Jo-Wilfried Tsonga. 19th seed Jo-Wilfried Tsonga beat his compatriot Benoit Paire in straight sets, taking the win 6-4, 6-3, 6-4 in an hour and forty-two minutes. In an entirely expected result, top seed Serena Williams had a walk in the park in her first round of 16 match against her compatriot, 19th seed Madison Keys. World No. 1 Williams took a straight sets victory, 6-3, 6-3. In what is likely the most hotly-anticipated match of the tournament so far, Williams will face off against older sister Venus at the quarter-finals. The pair have met four times previously at the US Open, each winning twice. Venus Williams beat her younger competitor, qualifier Annett Kontaveit equally easily, taking a 50-minute, 6-2, 6-1 victory. Canada’s Eugenie Bouchard, who earlier withdrew from both doubles disciplines at the US Open, also withdrew from the singles ahead of her match against Italy’s Roberta Vinci, who now automatically progresses to the next round. 25th seed Bouchard sustained an injury in the locker room earlier this week, and has found herself unable to play. The famed Williams rivalry is now the biggest draw to look out for as we move into the quarter-finals of the US Open Championships, the final Majors tournament of the year, as younger sister Serena looks for her first Calendar Slam.